For use as both a roller type or spool type stand. Simply turn the "heads" around: only one set of supports to keep track of. Lifts from either underneath the swingarm or from swingarm spools used on most modern sport bikes. 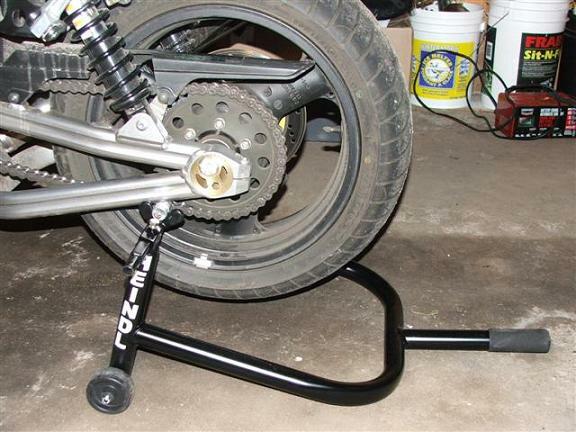 Width adjustable to ensure a proper fit on most all sportbikes. Spools not included. Click Here for spools.